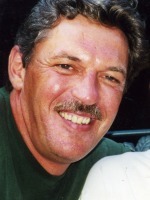 Roland Jay ‘Mickey’ Morey of Plainwell, Michigan, passed away suddenly Monday, June 29, 2009. Mr. Morey was born April 16, 1942, in Kalamazoo to Max and Wiona (Spring) Morey. Mickey began his career at Menasha Corp. where he worked in many capacities including personnel director and superintendent. He was then employed for many years as a sales representative with Appleton Mills Paper Products, retiring in 2000. Mickey was a member of Prairiewood Golf Course. He had a passion for golf and following sports. Above everything else he loved spending time with his family. For the past 20 years he enjoyed traveling to their SmokyMountain home in Tennessee. On October 26, 1963, in Otsego he married the former Sandra Burchett, who survives. Also surviving are his daughter, Tina (Larry) Bullard of Otsego; a very special grandson, Stephen Kozal of Otsego; his siblings, Max Morey of Tennessee, Judy Maddox of California, Sondra Pepper of Mexico, Valerie Morey of North Carolina, and Joy Garrison of Bloomingdale, MI; his mother-in-law, Bernice Burchett; several nieces and nephews. He was preceded in death by his mother, Wiona Paddock; father, Max Morey; step-father, Bob Paddock; and father-in-law, Loren Burchett. In keeping with his wishes cremation has taken place. Friends may meet with his family beginning at 6:00 P.M. Thursday at the United Methodist Church of Otsego. After a time of visiting and remembering a Memorial Service will be held, with Pastor Joe Shaler officiating. Memorial contributions may be made to Kellogg Eye Center, 1000 Wall St., Ann Arbor, MI48105 or the United Methodist Church, 223 E. Allegan St., Otsego, MI 49078. 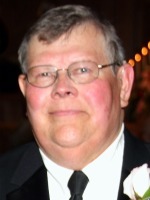 Jack Tompkins of Otsego, MI passed away Thursday, June 25, 2009 at his home. Jack was born January 29, 1935 in Colorado, the son of John and Ruby (Baker) Tompkins. He served in the Army from 1953 to 1959 and then worked at the Otsego Falls Paper Mill for 14 years, retiring in 1975. Jack was a member of VFW Post #3030 in Otsego and he enjoyed playing chess and was very well known around town. He was a loving man and a caring father who will be missed dearly. He is survived by 4 children; Russ (Wendy) Tompkins of Otsego, Rodney (Cindi) Tompkins of Otsego, Randy (Chris) Tompkins of Jackson, MI and Robbie Tompkins of Arizona; 9 grandchildren; 2 great-grandchildren; a sister, Ollie Mae Livingston and his ex-wife Edith Fales of Arizona. He was preceded in death by 3 brothers, Joe, Clarence and Jimmy. In accordance with his wishes, Jack has been cremated. There will be no visitation or service. Burial of ashes will be at Ft. Custer National Cemetery. 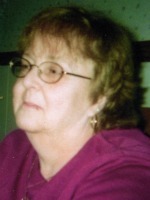 Agnes G. Ives of Allegan, Michigan, passed away Sunday, June 21, 2009 in Allegan. Mrs. Ives was born August 6, 1922 in Charleston, West Virginia, the daughter of Peter and Berdie (Hofarozt) Peck. Surviving are a son and daughter and their spouses, Pastor David and Saundra Ives of Kalamazoo and Jean and Jack Madalinski of Ft. Wayne, IN; 6 grandchildren; 9 great grandchildren; several nieces and nephews. Preceding her in death were her husband, Robert Ives in 2006, a granddaughter Sierra Ives, four brothers Ralph, Cecil, Billy and Calvin Peck. Agnes enjoyed spending time with her family and gardening. Cremation has taken place. A graveside service will be held Saturday, July 11, 2009 at 11:00 A.M. at Lindsley Cemetery, CheshireTownship, Rev. Donald Miller officiating. Memorial contributions can be made to Wings of Hope Hospice. Arrangments by Winkel Funeral Home, Otsego. 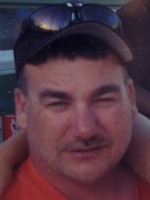 Daniel Dutton of Alamo Township passed away Wednesday, June 17, 2009 in Grand Rapids. Dan was born August 12, 1963, in Allegan. At age 14 he began working under the CETA plan at the Otsego athletic fields for 3 years, Dan had also worked winters at Bittersweet, and he worked in area factories including Alex Foods, Allegan Tubular and Allegan Metal Finishing. Most recently he worked as an inspector for Tremco and as a roofer for Hoekstra Roofing. Dan enjoyed hunting, softball, watching sports and fantasy football. Surviving are 2 sons and 1 daughter, Dan S. Dutton II of Kalamazoo, Amanda Dutton of Kalamazoo and Mitchell Dutton of Caledonia; 3 grandchildren, Lexus, Brelynn and Chase; his mother Ruth McIntyre and his step-father Harry McIntyre of Kalamazoo; siblings Sheri Youtzy of Allegan and Robert (Norma) Dutton of Tennessee; several nieces and nephews; and close friends, Barb and Joe Wine. Friends may meet with his family from 2 to 5 P.M. Saturday at the Winkel Funeral Home, Otsego, where funeral services will be held Monday at 11:00 A.M. with Pastor Kent Ferns officiating. Burial will follow at Mountain Home Cemetery, Otsego. Memorial contributions may be made to American Cancer Society or the American Heart Association. 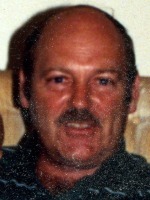 John W. Bayard of Allegan, Michigan, passed away suddenly, Monday, June 15, 2009, in Otsego. John was born April 19, 1958 in Chicago to Wayne and Barbara (Smith) Bayard. He was a member of the Otsego Elks #1711 B.P.O.E., the V.F.W. Post #3030, Otsego Moose Lodge #345 and the Allegan Eagles. John loved to cook, read, listen to music and dance, especially to blues and jazz, camp, fish, golf, garden and trips to Lake Michigan. John held a Bachelor’s Degree in Business Administration from the University of Illinois. Surviving are his mother, Barbara (Richard) Pennington of Lawrenceburg, IN; his fiancée, Linda Forcier of Allegan; his father, Wayne (Kay) Bayard of South Elgin, IL and their children; two brothers, Ken (Lory) Bayard of Delton and Paul (Marcia) Bayard of Bradenton, FL; a special niece, Ashley Rose Bayard; and his cat, Frisco. Friends may meet the family from 3 to 5 P.M. Friday at the Winkel Funeral Home, Otsego, where funeral services will be held at 5 P.M. Friday, Pastor Don Ray officiating. Cremation will follow. Contributions in memory of John may be made to the V.F.W. Post 3030 Honor Guard or the Otsego Elks Kiddies’ Christmas. 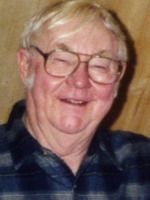 Clyde C. “Red”Covault, Jr, of Otsego passed away Monday, June 15, 2009, at his home. Mr. Covault was born March 3, 1929, in TrowbridgeTownship to Clyde Sr. and Ethel (Bergh) Covault, and had been a resident of Otsego since 1942. He had been employed at the MacSimBar Paper Mill and then for over 40 years, beginning in 1951, he owned and operated Otsego TV. Red was a member of St. Margaret Church, a 4th Degree Knight of the Knights of Columbus, a member of the Otsego Lions Club, the Elks Club #1711 B.P.O.E., the Moose Lodge #345 and the Otsego Chamber of Commerce. He enjoyed fishing, dancing, playing the harmonica, singing for birthdays, playing Santa, store parties, camping with the camping group from Allegan and spending time with many special friends. On August 13, 1950, in Bloomingdale he was united in marriage to Monna Smith, who survives. Also surviving are five children, Deb (Juan) Castaneda, Tom (Michele) Covault, Mike (Robin) Covault, Pam Covault and Cherry Connor; ten grandchildren; several great-grandchildren; his brother, Calvin (Roberta) Covault and their children, Randy (Diane) Covault, Malinda Knapp, Bruce (Chris) Covault and Mark (Jackie) Covault and many great-nieces and nephews. Friends may meet the family from 2 to 4 and 6 to 8 PM Thursday at the Winkel Funeral Home, Otsego where a Scripture Service will be held at 7:00 P.M., Mass of Christian Burial will be celebrated at 10:30 AM Friday at St. Margaret Church, Otsego, Rev. Fr. 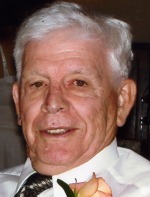 Donald P. Klingler, Celebrant. Burial will follow at St. Margaret Cemetery. Contributions in memory of Red may be made to the American Cancer Society or the American Heart Association. 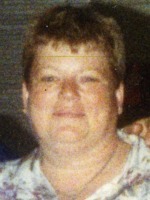 Cindy L. Cook of Kalamazoo, MI passed away Saturday, June 13, 2009 in Kalamazoo. Cindy was born February 28, 1957 in Kalamazoo, the daughter of Richard and Geraldine (Smith) Sage. She loved her children and grandchildren, and she enjoyed going to garage sales. On March 29, 1977 in Kalamazoo, Cindy was married to Barry Cook, who survives. Also surviving are their children, Richard Cook of Kalamazoo, Amanda (Nick) Riley of Kalamazoo, Angela Cook of Galesburg; 6 Grandchildren; Alexis, Destiney, Taylor, Keirstean, Brandy and Kevin; her father, Richard Sage; siblings; Vicki (Bill) Erwin, Becky (Randy) Feathers, and Sally Ford; several nieces and nephews. Friends may meet with her family Tuesday from 5:00 to 7:00 P.M. at the Winkel Funeral Home, Otsego. A funeral service will be held Wednesday at 11:00 A.M. at New Hope Church in Richland, Pastor Jan Dewitt officiating. Interment will follow at East Cooper Cemetery. Those desiring may make memorial contributions to the American Diabetes Association. Robert was born on October 25, 1936, in Escanaba, MI; he passed away June 12, 2009 in Kalamazoo, MI. Mr. Peterson was the son of Harold and Elsie Irene (Anderson) Peterson. He is survived by his loving wife Ruth and sons Jon (Lisa), of Farmington Hills, and Erik (Christy) of Kalamazoo. Robert is also survived by an aunt, Alvina Botwright of Escanaba; cousins Wayne (Barbara) Botwright, Neil (Sandy) Botwright all of Escanaba. Additional family survivors are John E. (Barbara) Peterson, of Vero Beach, FL and Sally Peterson (John) Hanson of Michigan. Robert graduated from Escanaba High school and attended Western Michigan University where he earned his BS and MA degrees. While a student at Western, Robert was a member of Delta Chi social fraternity, ODK honorary fraternity and a member of Men’s Judiciary Board. He taught industrial arts in Flint (MI) area high schools, and subsequently taught in England and Japan. Following his overseas travels and experiences, Robert returned to WMU in 1965 where he began a 31 year administrative career and Manager of the Residence Halls facilities. Robert retired from WMU in 1996 and with Ruth, continued to pursue collecting antiques as a hobby. He routinely enjoyed traveling to Vermont and New Hampshire in support of his avid antique collecting. He also enjoyed genealogy research, woodworking, stamp and coin collecting, and theater. He was an active member of the First United Methodist Church of Kalamazoo. Memorial services will be held Thursday June 18th, 2009 at 11:00AM at the First United Methodist Church, 212 S. Park St., Kalamazoo, MI 49007. Services will be conducted by the Rev. Dr. Douglas W.Vernon. In place of floral tributes, the family requests memorial contributions be made to the First United Methodist Church of Kalamazoo or Hospice Care of Southwest Michigan, 222 N. Kalamazoo Mall, Suite 100, Kalamazoo, MI 49007. Debra Lee (Harter) (Harris) Nelseon of Plainwell, Michigan, passed away Friday June 5, 2009, at Borgess Hospital with her family by her side. Debbie was born July 13, 1953, in Kalamazoo, the daughter of Leon Sr. and Donna (Newcomb) Harter. Debbie worked at Hinkle’s Bakery for many years until she moved to Indiana to work at Wabash International. She was known by many as a very loving, caring person, who was always willing to listen and give advice. She enjoyed spending time with her family, planting flowers, crafts, bingo, camping, singing on the computer and going to the races. Debbie was preceded in death by her father Leon Harter, Sr.; grandparents, Raymond, Esther and Allie Newcomb, Goldiebelle and Morris Harter; Aunt Joan Hewitt; cousin Terri Reynolds; first husband John Harris; and her beloved cat Sylvester. Surviving are her mother, Donna Harter of Otsego; 3 brothers, Leon (Cindy) Harter, Robert (Bonnie) Harter, Ron (Penny) Harter; nieces Chasity and Jessecia Harter; nephew, William Koenig; step-niece and nephew, Christie and Justin Snyder; great-niece and nephew, Kailee and Josh Snyder; step-children, Angela and Jeremy Nelson; aunts and uncles, June Girton, Hal Hewitt, Jim (Sue) Newcomb; great-aunt, Mary Helen Baker; many cousins; special friends, Rick (Deb) Froelich, who she considered family; her cat, Punkin; and many friends. The family will receive friends from 2 to 4 and 6 to 8 P.M. Tuesday at the Winkel Funeral Home, Otsego, where funeral services will be held at 1:00 P.M. Wednesday. Burial will follow at Mountain Home Cemetery, Otsego. Contributions in Debbie’s memory may be made to Paws With a Cause, Wayland, MI or the SPCA of Southwest Michigan for the new shelter fund.